Most bloggers primary concerns are writing, marketing and monetizing their site. I have been blogging for several years and can understand why these are their biggest concerns. However, many bloggers don’t even consider the importance of taking the necessary precautions to keep their site from being hacked. Don’t wait until after your site has been hacked to take these precautions. Here are some of the tips that you should take to make sure your account doesn’t get compromised. Administrator accounts in WordPress named “admin” by default. Hackers realize that most bloggers won’t bother to change it. All they have to do is guess your password successfully and they will have full control of your site. Think of another account to protect your data from being hacked. Most hackers will try to use brute force attacks with password cracking software. The best way to protect your account is to choose a longer password that contains a combination of letters, numbers and special characters. Hackers may also try to access your account by guessing your password. You will be much better off if you choose a password at random or something that has a secret significance to you. My rule of thumb is that if information is available on me through Google or Facebook, then I shouldn’t use it in my password. There are a number of great security plugins available to help you keep hackers at bay. Here are three plugins that I think are particularly valuable. This plugin analyzes all requests to access your site. It looks for common hacking attempts and will notify you if anything suspicious tries to access your site. This plugin is ideal for preventing SQL injections and other complex hacking attempts many other plugins overlook. I mentioned earlier that password crackers are the most common tool hackers use to gain control of your site. This plugin will limit how many attempts they are given. This is one of the best tools you can use to thwart password crackers from taking control of your site. This tool will scan your entire site and let you know if it finds any malware or security vulnerabilities are installed anywhere on the site. I have never seen any plugin that is so adept at telling you what you need to change to make your site more secure. 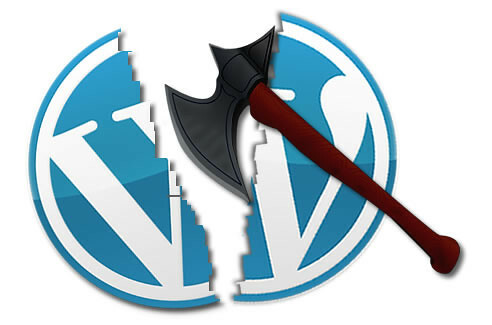 WordPress is not a perfectly secure software and it never will be. Fortunately, the developers learn from their mistakes and continue to fix newly discovered security problems in future versions. However, their improvements won’t do you any good if you keep using the same version of WordPress. Always update WordPress periodically so your site will have optimal security settings. According to Sucuri, SEM Labs and a number of other reviewers, many WordPress sites are hacked on a regular basis. Most bloggers don’t realize how vulnerable their sites are. Make sure you take all necessary precautions to safeguard against hackers. Kalen Smith writes on BYOD Consumerization for Trend Micro.